This category is devoted to yacht design issues. Got a question that hasn’t been asked yet? Use the form found under “Cruisers Q&A”. The current America’s Cup spectacle has us entranced: unbelievable speed, maneuverability, and difficult sailing, the likes of which has never been seen before. The design and engineering required to achieve this level of performance is nothing short of astonishing. The FPB 70 brings together the very best of everything we’ve learned in the last 40 years, not the least of which is a very sophisticated bow shape – perhaps the most difficult plating job ever. 1) What are your thoughts on the merits of roller-furling mains, especially the leisure furl boom systems which allow a better cut main with full battens? 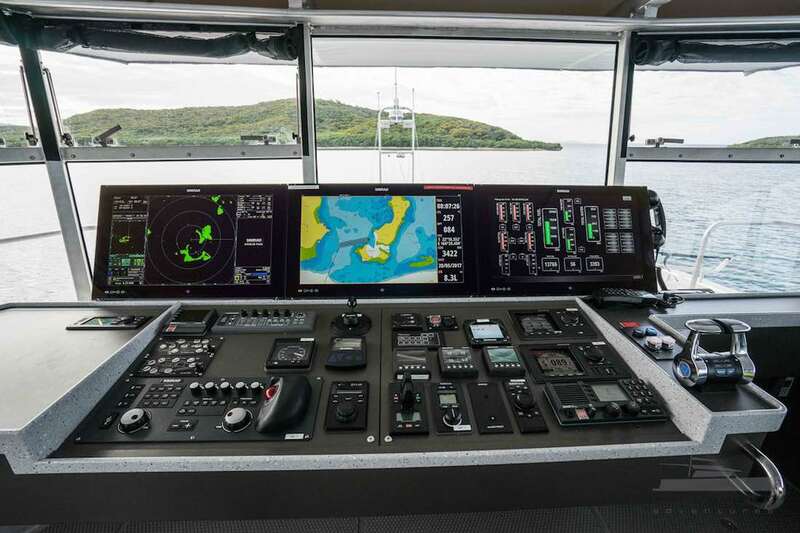 2) Center-cockpit boats–Is the benefit of a better aft cabin and a small afterdeck worth the wetter, more motion at the helm that results from being higher up and more forward? We are flying to Florida this week to look at a couple of boats. We currently own a ’95 Caliber 40 that we have prepared for offshore cruising. Your Encyclopedia and the 2 hour Offshore video have been very helpful in those preparations. Now that we have our 6,000 sq foot home for sale we have decided that a 40 footer may be a bit small for permanent liveaboard for two people, Just the two of us have lived in this monster house for 18 years. We plan to live on our new boat until I am 64 or 65. I just turned 52 and my wife is 44 years old. Dear Steve and Linda: Having discovered SetSail site, I want to tell you what a terrific boat you have designed in the Wind Horse. What I found particularly interesting is your break up with the dominant design rules of cruising power boats, e.g., trawlers. While my limited budget allows me only to dream of Wind Horse, I am myself involved with pushing ahead my own dreams of ocean cruising. Having known your work, I have already given up my trawler-oriented mindset and I am rethinking the entire issue considering the canoe-like hull proposition you so beautifully materialised in Wind Horse. Having said this, I’d like to know your comments on two points. -according to the equation of displacement hull speed (1.2 times sqrt water level length in feet, am I correct? ), a 85 feet-long boat could achieve a max speed of around 11 knots. But boats often go far beyond these limits, as are good examples your own designs. So, I confess I’m puzzled. Could you, please, shed some light on the issue? -have you ever considered adding lifting hydrofoils to your designs (I think about Wind Horse) not, of course, to turn them into 60-knot-out-of-the-water rocket-boats, but to reduce their displacement and wetted area by say, 30%, so increasing speed & range? I think of hydrofoils added, say, to the keel and skegs, in order to compensate for, say, 30% of the vessel’s weight, or displacement, and adding to stability as a bonus benefit. Is this way wrong? If so, could you point the problems with it? After reading your Offshore Cruising Encyclopedia I have a couple of questions about converting an alum. IOR boat to a cruiser. The boat, Doug Peterson 44′ alum. 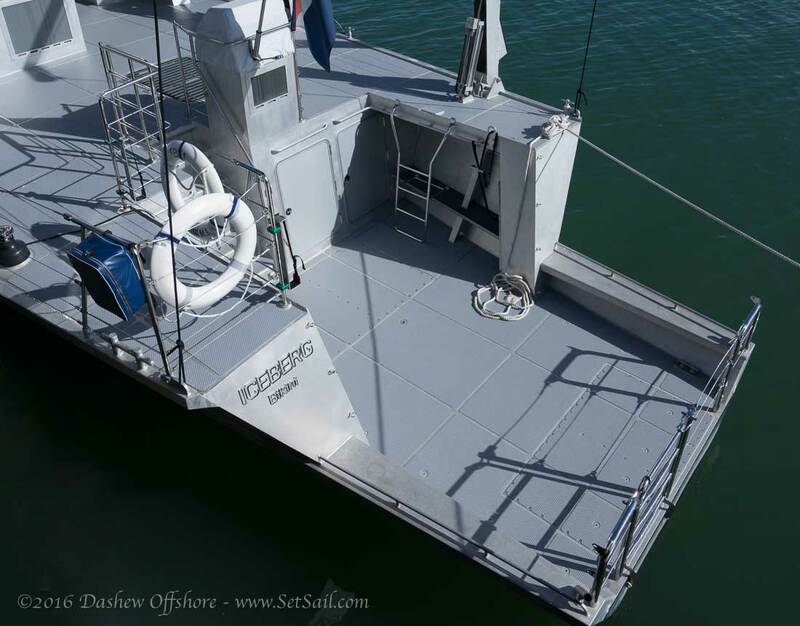 flush deck, displ 25,000 keel 10,000 , 13’6″ beam 8′ draft. Built 1978. Intended uses of boat, Mexico and South Pacific. Should I be concerned about the range of stability? If I buy this boat I plan on adding extra tankage low in the hull and under the floorboards if possible. Is there a formula to figure range of stability ? And lastly, I really like the 14′ Wherry pulling dingy. Are they still in production? I love your design concepts of fast cruising sailboats designed to be handled by a couple. I have a few questions that, if you have the time, I would love to get answered. I have read your design paper for BEOWULF and it looks like a terrific boat. How is the water ballast working out and do you ever worry about having all that ballast on the wrong side in the event of an accidental jibe? What do you think of the use of carbon fiber, particularly in masts? And have you considered the use of a free-standing mast? What do you think of the Fox 50 concept of converting an Around Alone Open 50 design to an ultra-fast cruising boat? I think they were to be built by TPI and Lyman Morse, although after the initial hoo-ha I have not heard anything about them. They seem to take your concepts a step farther, but perhaps too far. Dear Linda and Steve, We first heard about you two in the Mahina Cruising seminar given in San Francisco this past March by John and Amanda Neal. It was a great seminar and your books were prominently displayed and talked about during their seminar. We are just about ready to take off for five or so years on a cruising journey which we hope will include the Med, Caribbean and South Pacific. More if time allows. I (Glenn) have been boating/sailing since the age of 12 and am now the ripe old age of 52. I grew up sailing on Puget Sound, the San Juans and Canadian waters and sail/race J-105’s in the San Francisco fleet. The two of us have chartered all kinds of sail and power boats in California, the Caribbean, and Mexico. Because we understand that you sail on a 78-footer Beowulf, we thought you could help us with a dilemma we are currently experiencing. We are looking to purchase a boat in the very near future. Two boats are under serious consideration. One is a new Hylas 54. 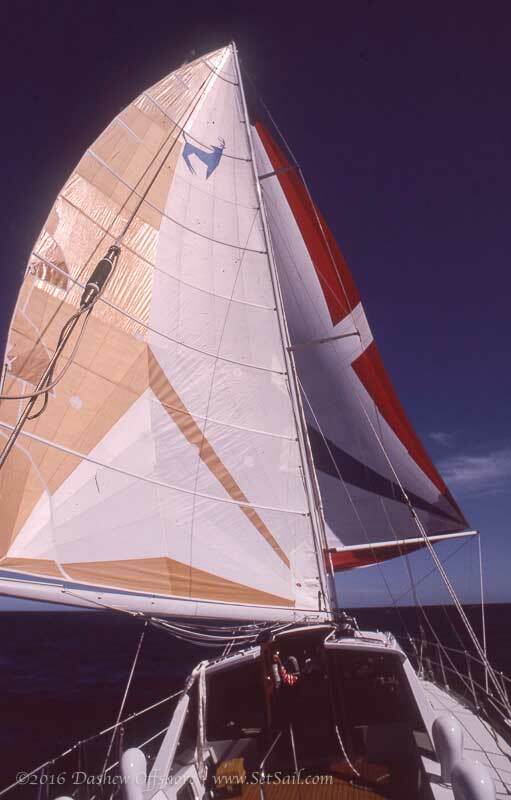 The other is a used Farr 63 built in 1999. Both are cutter-rigged, center cockpit pilothouse models. Both are loaded with the latest in nav and electronic gear. Both have in-mast furling mains and a bow thruster. My wife likes the smaller Hylas, thinking that it will be easier to sail shorthanded (just the two of us most of the time). I like the larger Farr which is a bit roomier, has a bit better sailing performance overall and will be more sea kindly with the longer waterline length. The biggest ISSUE is draft. My wife thinks the 9-foot draft on the Farr will keep us away from many tropical locations where we may want to anchor/moor the boat. I say the difference between the Farr’s -foot draft and the Hylas’ 7’2’" draft is negligible and that it would affect less than 5% of the places we’d like to go. 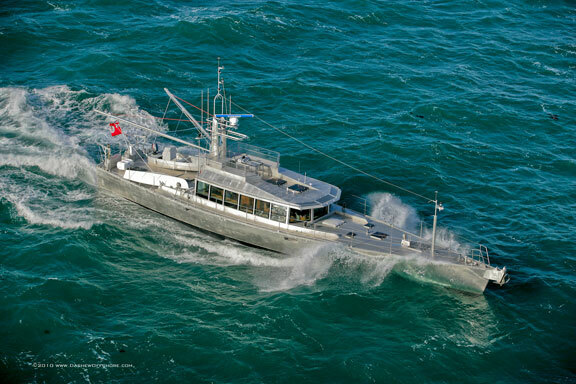 For instance, we chartered a Hylas 54 in the BVI and barely were able to join other boats anchored on the south side of Annegada Island where the depth water was 8 feet. We assume the draft on Beowulf is at least 9 feet. 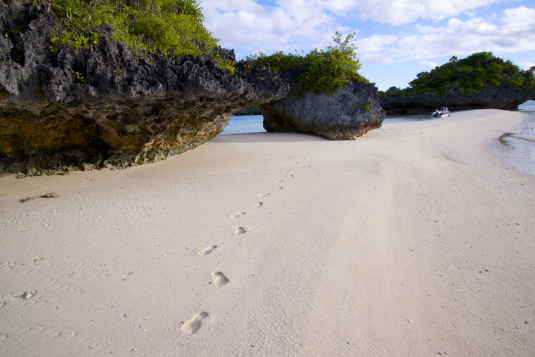 Do you feel limited in where you can cruise?? (Regarding Offshore Cruising Encyclopedia)…An encyclopedia it certainly is–a wealth of information that must have taken a lifetime to collect. I enjoyed reading your book and I’m glad I made the purchase. Hello Steve. First off thanks for writing the Encyclopedia. It was a driving force in getting my wife and I to buy a boat and sail the West Coast from Vancouver to Mexico. We are now looking to move up in size from our Roberts 44 to potentially an Irwin 52. These boats are rare on the West Coast and abundant on the Southeast Coast. They have 2 keel configs – one has a centerboard and shoal draft of 5’6", and the other is a fixed keel with a draft of 7 feet. I have no experience with big boats with centerboards, and would value your opinion on their merit when going to windward? What do you think of Irwins? Hello! The subject of Multihulls vs. Monohulls is a hot one, and is likely to continue to be. 🙂 However, there is one designer who has put online a very good paper on multihull seaworthiness. It is, of course, true that he is a catamaran designer, so the criticism may be the paper is biased, but it is very technical in nature, and I find (having an engineering background) reasonably complete and suited to the informed lay reader. The article on your site I am referring to is: Multihulls. I believe that your opinions may be swayed by his treatment. As always, seaworthiness is as much a function of the crew as of the boat, but a good crew with a bad boat can only go so far. I was very timid about the idea of multihulls and blue water, but decided I would research it before making up my mind. What I found were many good sources of experience reports (MultiHull Voyaging by Thomas Firth Jones for example) which finally convinced me that multihulls, designed correctly, could be as seaworthy in blue water as a well designed monohull, if not more so. Glass a tank in on the port side of the lazarette. The area is hard to get at anyway so won’t be too much of a loss. Glass a tank in on the stbd side behind the current tank in that ‘dead’ area below the compass/steering box. I reckon, without actually measuring the boat as we are currently skiing in South Island (life’s tough, eh), I guess I could add about another 300+ miles. Which would have life a lot easier in the Tuomotus, for example. I KNOW ITS MORE WEIGHT!!!! but do you have any other ideas? I am also considering swapping my homebuilt DC generator for the Balmar, with watermaker add-on. Is this what you have? How does it work out? The literature says it will set its own speed/charge rate, how does that work out? Also our batteries are getting real bad and I’ll probably change them, did you go for the lead acid Tudors as we have, or the more sophisticated dry cell ‘I can’t remember what they are but not gel type or lead/acid’ new types. Any advice gratefully received–and probably written about, we start a ‘Masterclass’ series for YW in October! Hello Dashews, We love the books and are busy trying to absorb all the info as we plan toward and dream of our own cast off day in 36 months. We have been educating ourselves on design as we continue to search for the right boat for our needs. I agree with your philosophy on waterline and the value of older CCA boats. I also like aluminum or steel (though right now steel seems like a better buy in general). Sundeer 56/60 – What Would You Do Differently? Hi Linda & Steve, My wife and I have just purchased your Offshore Cruising Encyclopedia and are enjoying the read very much. Keep up the good work. Hi ya: For years we have lusted after your boats (Wiroa was one) but couldn’t afford them. Our own boat Gungha (Alan Buchanan design in steel, round slack bilge’s and overhangs) was getting too small. We owned her and lived on board for 21 years. Last year we were lucky to change boats and boat designs. The new boat is a Birdsall 60. She really is the boat of our dreams. Heaps of space, stable and fast-as. I can’t think of anything about the layout or performance of the boat that I could criticize. We have just made our first offshore passage from NZ to Tonga with heavy weather and she went like the clappers. So no problem there. There is however a problem of lingering doubt vis-à-vis the design. I have been used to the deep draft and 45% ballast ratio of Gungha (nice and rolly). I always knew that if she was capsized she’d snap back upright in moments. I know you’re probably familiar with the Birdsall designs, as they resemble your own in some aspects. This yacht is 63′ on deck, 60′ at the waterline. She has a 14’10” beam which is carried aft but certainly not forward (very narrow there) and she has a 6′ draft. The yacht is single chine steel with a long (about 17′ fore and aft) fin keel and a skeg-supported spade rudder. The hull of the yacht draws a little over 2′ with the keel making up the rest of the draft. The yacht is double-bottomed fully with welded in tanks, which hold a total of 800 gallons of fluids. The deck plate and all construction techniques have concentrated all the weight as low as possible. The yacht has a center cockpit and trunk cabin with considerable buoyancy. My problem is this. 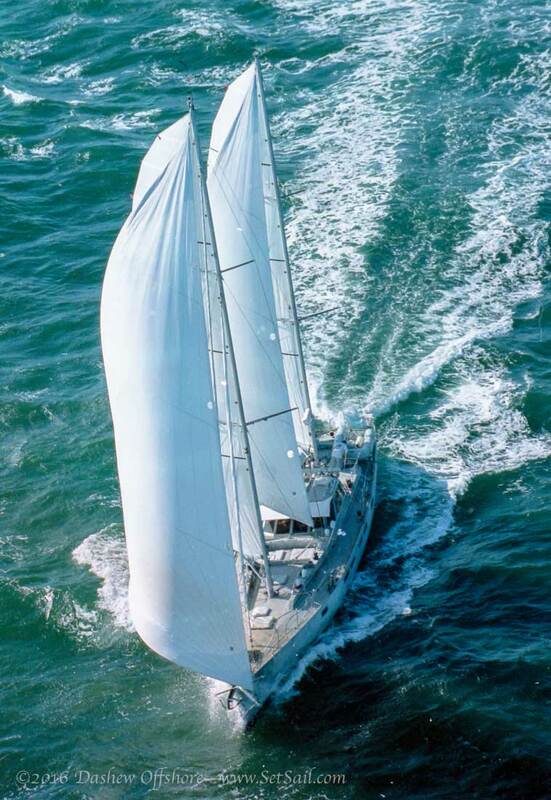 The yacht is adequately stiff even in hard conditions but…she only has 4 tons of ballast. Her total shipyard weight is 27 tons. What do you think of that and her ability to be tipped over????? We have sailed over 60,000 miles and prior to that I was a commercial fisherman in Alaska…Am I getting paranoid in my old age?